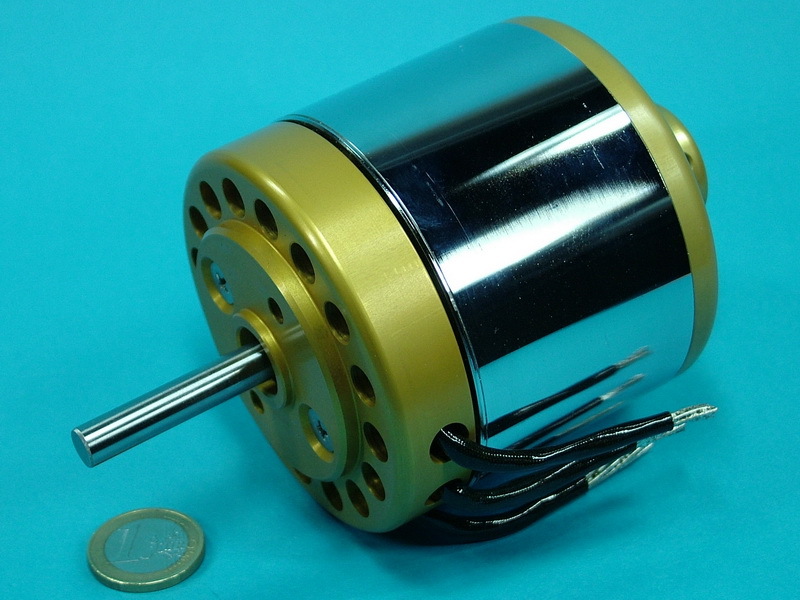 It is currently available with stator length of 20, 30 and 40mm as 14pole version, but different versions can be manufactured upon request. The power ranges from 1500 to 4500watts The best efficiency is between 4000 and 7000rpm. It can drive props up to 28" directly . Application Examples are shown on our Website under "Praxisbeispiele"
As this is only a limited small series please contact us for further information.